Focusing on the Pretty for September 11. This plant may commonly be referred to as meadow eyebright, and red eyebright as well. The name comes from one of its major benefits for the eyes and is recommended by Herbalists for anyone suffering from various eye problems. 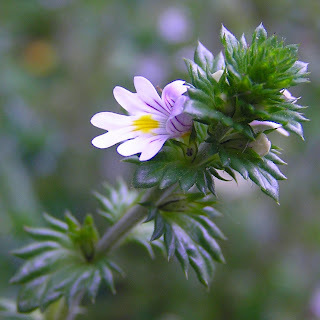 So this week we have chosen Eyebright euphrasia officinalis as the herb of the week. Belonging to the Figwort family (a type of flowering plant), eyebright is completely edible. From its flowers, to its stems, and its leaves, all the parts of this herb can be used in some manner or the other to treat several conditions. This herb has been used for several years to treat a host of health problems. 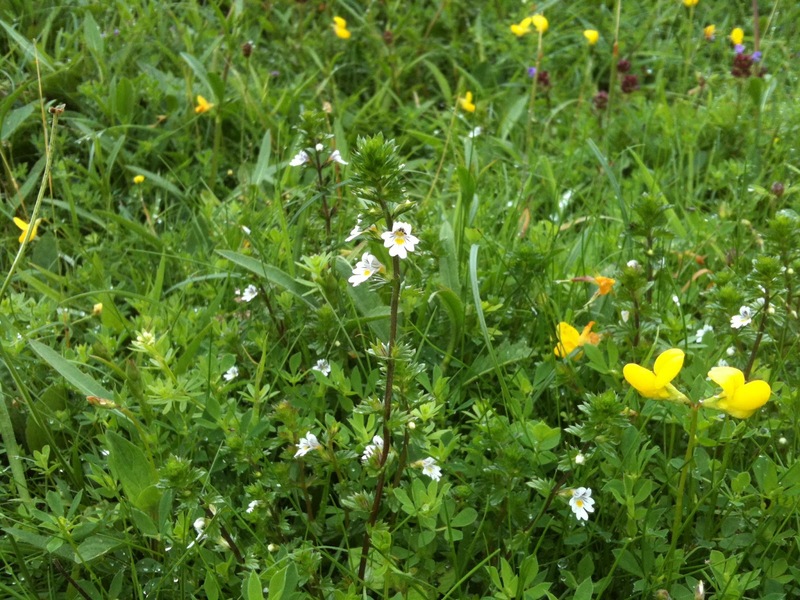 Eyebright can be identified by its small, oval shaped leaves, and small white or red flowers. The flowers have a black center, and purple streaks on the petals with a central yellow spot. It grows primarily in grassy areas such as meadows and pastures. An annual semi-parasitic herb that grows about 2 to 12 inches high. It thrives when it attaches itself to the roots and stems of grasses, absorbing mineral substances from them. The leaves are rounded, toothed and small, about ½ inch long. They have a tiny white flower that is double lipped with a yellow throat and dark purple veins. The flower is so attractive you don’t want to clip it off. It is native to southern Europe as far north as Siberia and the Himalayas. It prefers pastures and meadowland with a poor soil. It you want to grow this you need to plant the seeds near host grasses. Eyebright makes a nice tea. Using both fresh and dried leaves you can make an eyebright tea. Take a cup of boiling hot water, and add to it 1 teaspoon of fresh chopped eyebright leaves. You will need twice as much dry to get the right potency so 2 tsp. dry. Allow the leaves to steep in the water for about 10 minutes, to create an infusion. You can consume this or use it as a compress. Conditions with inflammation, such as inflammation of the eye, cataract, conjunctivitis, and sties can be treated by using an eyebright tea compress because it works well reducing inflammation. Thai is also why it is used to lessen dark circles and puffiness around the eyes. . Prepare the tea as mentioned above, and strain it thoroughly so that no remnants of the leaves are left. Allow the tea to cool, and dip a cotton pad in the tea and place on the eye for several minutes. For cataracts, strained eyes, conjunctivitis, and sties, add a cup of rose water to eyebright tea, and use it as an eyewash three to four times a day. Do this for a week then stop to see if healing has begun. Eyebright is rich in beta-carotene and flavanoids, compounds that help improve cognitive function. Drinking one cup of eyebright tea every morning can help improve your memory over time. 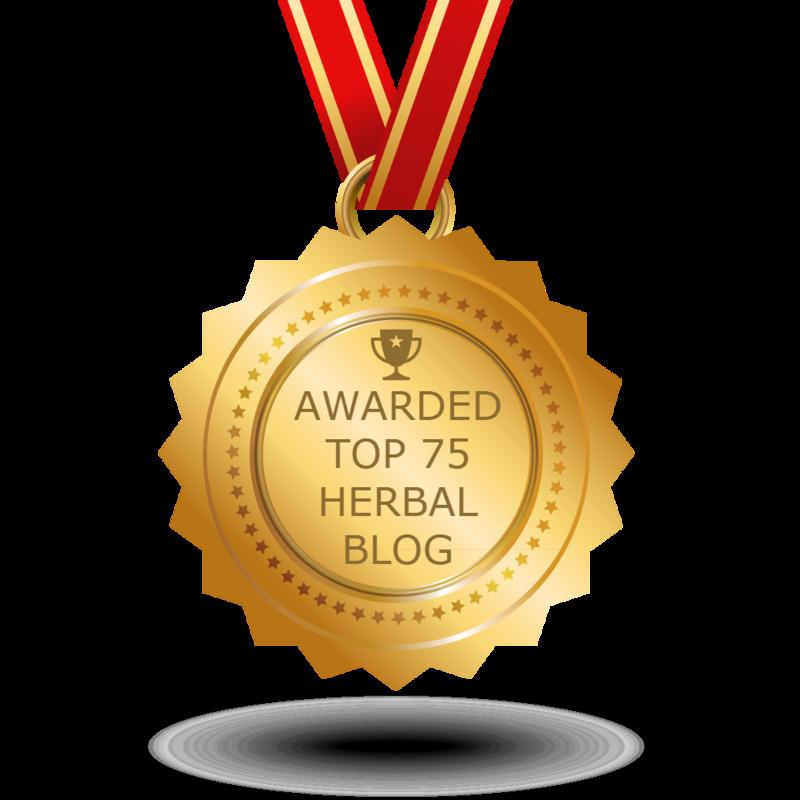 A study conducted on mice has shown that regular consumption of eyebright in any form helps eliminate harmful toxins from the liver, and thereby protect it from long-term damage. Eyebright can be used topically as an anti-acne agent too. Simply apply eyebright tea with a cotton pad on the acne affected area and leave it overnight for maximum benefits. You may also make a face pack by crushing fresh eyebright leaves and adding a few drops of rose water to it. Apply it on your face for 20 minutes before bed time, and wash it off before sleeping. You will notice that the irritation caused by acne is largely reduced. Drinking eyebright tea can also help keep your skin clear. I find the gentleness of eyebright is great for reducing the redness caused by my roseacea. There are those who also believe eyebright can reduce allergy symptoms especially hay fever and sinusitis. Overall an unusual herb to grow with many medicinal uses. NOTE: If you have had any kind of eye surgery, do not use eyebright in any manner without consulting your doctor. Also, women who are pregnant or breastfeeding should consult their doctors before consuming eyebright. 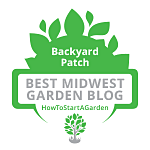 The Backyard Patch has a set of 4 eyebright tea bags which we have been marketing as a compress and tea for eye health for several years. You can check it out here. Mix the dried eyebright and tea leaves in a small bowl, then spoon into 2 empty tea bags. Seal or fold over the bags. Place the bags in a shot glass of hot but not boiling water. Leave for 10 minutes, then squeeze out and place one over each eye. Relax with the eye compresses on for 10 to 15 minutes. Make fresh as you need it. 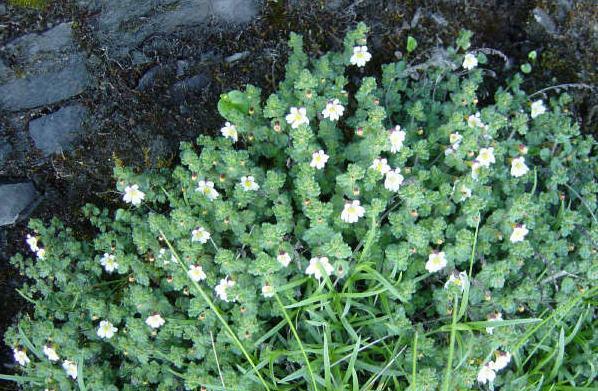 Eyebright herb relieves inflammation caused by colds, sinus infections, and allergies. A simple infusion in the water, allowed to steep at least 10 minutes before straining. Strain infusion thoroughly to remove any herbal particles. Use a sterile cup to avoid infecting the eyes, and bath the eyes three or four times a day. When there is much pain, use a warm infusion as often as needed until the pain is removed. In ordinary cases the cold application is found sufficient. Works as a compress on closed eyes. Notes: These recipes do not constitute medical advice. Always consult a professional healthcare provider before trying any form of therapy or if you have any questions or concerns about a medical condition. The use of natural products can be toxic if misused, and even when suitably used, certain individuals could have adverse reactions.